This week Amazon's Alexa got a little bit smarter with the addition of some new enhancements and features. According to Digital Trends, one of the most important improvements is geolocation, which allows Alexa to automatically activate location-based routines every time a user enters or leaves a location. That means tasks like the lights turning on will happen automatically when you get home or your music will turn off on its own when you leave the house. There are also some new kid-friendly routines, including a customizable "Good Night" routine. Other new features include a "Do Not Disturb" command, a "Stop Audio" command, and you can now ask Alexa to check your email and read important messages to you. With the right network router, you can ask Amazon's Alexa to investigate and block unfamiliar devices from your network, all through voice commands. 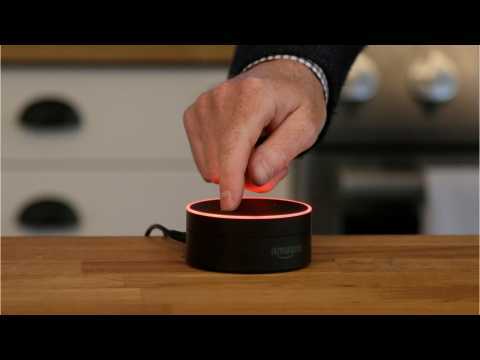 McAfee announced the development of a new Alexa Skill, which lets you check on the security of your network and router without having to open an app. Through Alexa, you’ll be able to set a time limit on your kid’s iPad, or scan for botnet attacks or vulnerable devices. Support for Amazon's Alexa voice assistant is finally coming to the Alexa app. Alexa only works on Android devices if you have the Alexa app open. This will essentially brins Amazon's increasingly beloved voice assistant to almost any phone. The new update is expected to roll out over the course of the next few days. Amazon's Alexa voice assistant, built into its Amazon Echo products and numerous home helpers and third party speakers, can do everything from control your home lighting to your Spotify playlists. Now, Connected robot vacuum cleaners by Roomba will soon be able to take Alexa voice commands to trigger a cleaning cycle. Simply say "Alexa, ask Roomba to start cleaning", and the dust-munching R2-D2s will start digging into your carpets.